Shrill is an uproarious memoir, a feminist rallying cry in a world that thinks gender politics are tedious and that women, especially feminists, can't be funny. 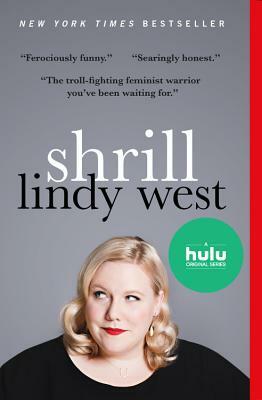 Lindy West is a Seattle-based writer, editor, and performer whose work focuses on pop culture, social justice, humor, and body image. She's currently a culture writer for GQ magazine and GQ.com and a weekly columnist at The Guardian, as well as the founder and editor of I Believe You | It's Not Your Fault, an advice blog for teens. In 2015 she wrote and recorded a story for This American Life about confronting an Internet troll who impersonated her dead father. She also was listed as "Internet's Most Fascinating of 2015" by Cosmopolitan.com, and helped launch the viral #ShoutYourAbortion hashtag in defense of women's reproductive rights. "Read West's ferociously funny book and you'll be shouting her praises."